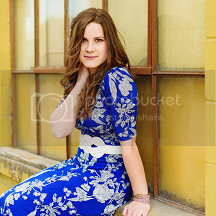 So excited to share these pictures of my sweet friend Alisa! going there often spending time with family and around the town. and when I say tulips I mean tulips everywhere. but with the crazy spring and cold weather they weren't even in bloom yet! We waited and thankfully found a Saturday two weeks later to go up there and spend the day. spent lots of time talking, and walking all over town. that her Grandma made from scratch. oh, and we had cheesecake for dessert. fun to see her grow up and I loved getting to take her senior pictures! in December, and doing many piano duets over the years. She is super sweet and caring--love you, Alisa! beautiful! my favs are def the ones w/ the red hat & violin...super fun! So pretty Hannah! The last ones are my favorites. these are beautiful! i love the ones with a red hat best. So colorful! Love Lovel all the pretty tulips (they're my Fav.) My favorite picture is the first one with the violin and fourth one. Love your poses. Love, love, the shot with the beret and violin...ah-mazing! Dude, the bakery in Pella is EPIC. Best. Bakery. Ever. Love the variety of the locations, outfits, flowers...ah, these are lovely! Especially love the 1st and 3rd of the pictures with her violin. :) Blessings!! Ummm....so she looks exactly like a girl I just met in Iowa... Same name, She and I went to something called Jumpstart together at Faith Baptist Bible College. Any clue if it is the same girl? yes it is!! she did go to Jumpstart last week as well. :) small world! Soo cool! I love small worlds! I threw a Frisbee around with her! I love your work! So beautiful, you captured her perfectly. Yes I love small worlds too! Haha..thanks for the kind words-praise the Lord!